Iconic Rail Journeys & more! G’day from Alan & Sue! Born and bred in the bush, we love the outback life and share a passion for its strong sense of community and freedom. Let us take you on a journey to discover our natural and cultural heritage. Settle back and enjoy our warm outback hospitality, and be entertained by local yarns as we share our connection with this land, our home. We carefully select our touring experiences for their authenticity and local flavour, so we know you will return home with plenty of stories to share. Our passengers benefit from our strong relationships with station owners and great local characters – a key point of difference on our tours. To all of our past passengers, we look forward to welcoming you back, and to those who are new to Outback Aussie Tours, we can’t wait to welcome you aboard. Tour with the true Outback locals with over 30 years experience touring Outback Queensland. Outback Aussie Tours has developed tours which showcase the best of our fantastic outback destinations with exclusive local connections to give you the real Outback experience. Let the true Longreach locals show you around our hometown. Real cattle station visits, river cruises and outback shows. 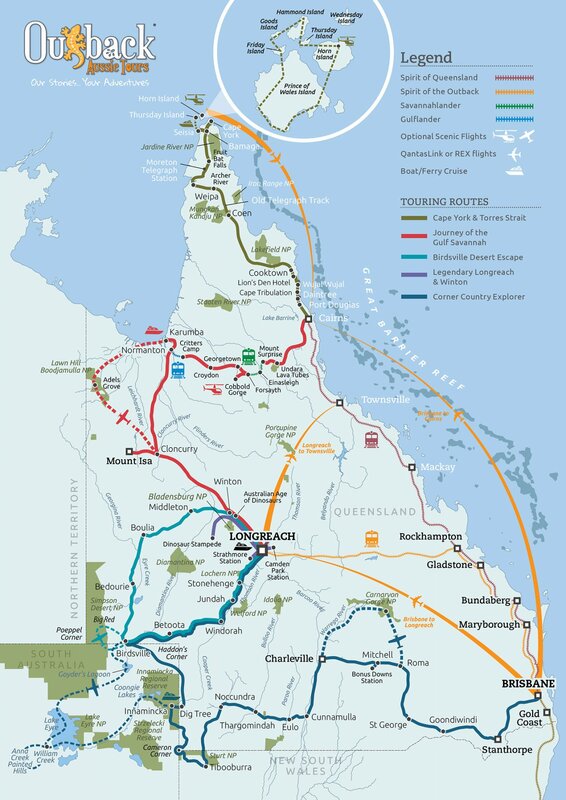 Explore the stunning outback and wilderness regions beyond the Queensland coast. Let us introduce you to your new favourite place. From 5 to 19 days, our fully inclusive tours let you explore our incredible destinations and discover our history and culture.